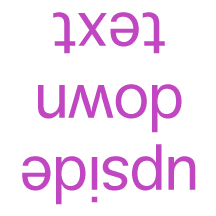 This is how to write upside down text on Facebook, Twitter, Myspace or wherever you want. Just your text and push the “Flip Text” Button. Now you can update your Facebook status with these text and confuse your friends.